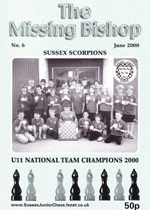 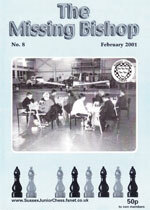 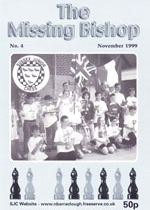 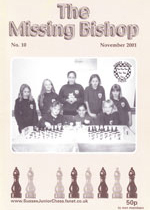 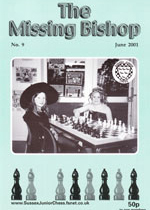 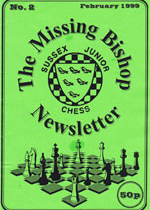 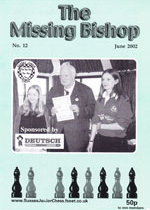 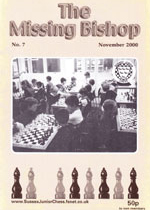 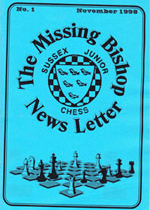 Between 1998 and June 2002 before websites became a major force, SJC produced a newsletter called “The Missing Bishop”. 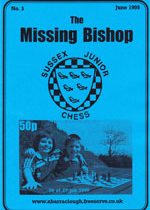 This covered an exciting time in the development of SJC when David Howell (now GM) and Thomas Rendle (now IM) were both Sussex Juniors. 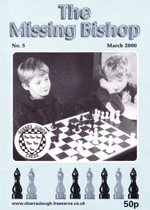 We are grateful to David Fryer who has allowed us to reproduce his collection here. 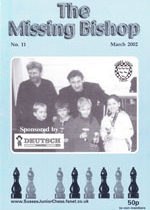 Click the thumbnails to read more.